Edible Arrangements® is rooted in entrepreneurship. Today, with almost 700 franchisees and 1,200+ stores worldwide, entrepreneurs just like you have grown a healthy business, with an investment of $192,695 -$326,445 per store*. After 15 years and millions of transactions, Edible Arrangements® is still WOWing Guests with a unique line of products. Owning an Edible Arrangements® business is your opportunity to capitalize on a growing market by joining the freshest name in franchising. To Learn More, Fill Out the Form! *As published in Item 7 of our May 2015 Franchise Disclosure Document. **In the United States. Source: Consumer Survey, November 2011. 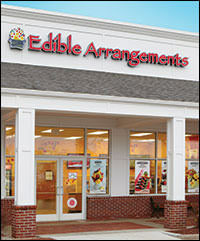 Edible Arrangements is currently accepting inquiries from the following states: Wyoming, West Virginia, Wisconsin, Washington, Vermont, Utah, Tennessee, South Dakota, South Carolina, Pennsylvania, Oregon, Oklahoma, Ohio, Nevada, New Mexico, New Hampshire, Nebraska, North Dakota, North Carolina, Montana, Mississippi, Missouri, Minnesota, Michigan, Maine, Louisiana, Kentucky, Kansas, Indiana, Illinois, Idaho, Iowa, Hawaii, Georgia, Florida, Washington, D.C., Colorado, California, Arizona, Arkansas, Alabama, Alaska. Edible Arrangements is also currently accepting inquiries from Canada and outside the U.S., but not from the European Union. @xostefxo415 Oh no, Stef! Can you please check your inbox? I just sent you a DM. @AriesErin I'm sorry to see this. Can you check your DM's? I just sent you a private message so I can follow up. @xoxokaro16 I can't but you might want to just stay off Twitter just in case. @xoxokaro16 Exciting! No spoilers in case I'm stuck on Twitter this weekend, okay? @xoxokaro16 When are you going to see #AvengersEndGame? @mixtapeavery Let me know when you're on your way. I've got a good feeling about it. @xoxokaro16 You should've seen me after #InfinityWar.